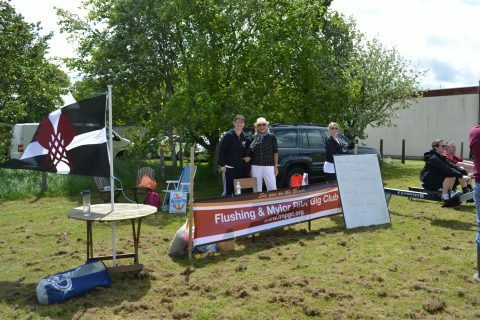 FMPGC attended the Mylor May Fair on Saturday May 14th. Visitors were given the chance to have a go at rowing one of our gigs down Mylor Creek. As well as try and be the best on the rowing machines which the club brought down to the field. Thanks to everyone who helped out, raised money for the playing field and the club. We look forward to welcoming lots of new local rowers to our newcomers sessions in the coming weeks. Please contact Kim Dodge on 07815 759395 if you would like to try out gig rowing with our club. There is usually a session most weekends.